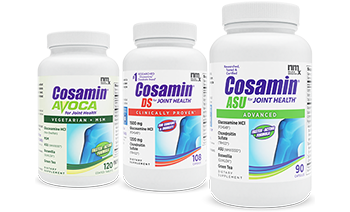 Cosamin® works at the cellular level inside the joint to help protect the cartilage. Cartilage in the joint is produced and maintained by its own specialized cells, called chondrocytes. In a healthy joint, there is a natural, on-going process in which old cartilage components are broken down and replaced by new components. 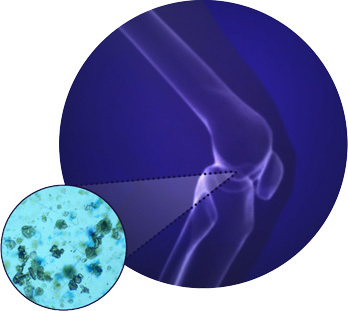 As part of this process, chondrocytes, release chemicals that trigger certain enzymes that degrade cartilage. In addition, cartilage lacks a direct blood supply and has to get nutrients from the joint fluid. If this process is interrupted by any of the factors listed above, it can disrupt the balance. This leads to the continual loss of the protective cartilage. And that, in turn, can eventually result in damage to the bone—and joint discomfort and deterioration.